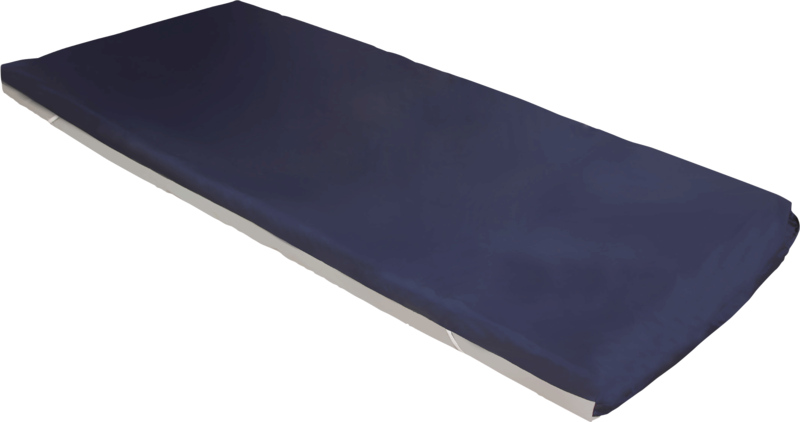 34" x 78" x 3-1/2"
The Protekt™ Serenity Gel Overlay utilizes a series of gel bladders encapsulated between high density, high resilient contoured foam and a firm support base. This composition creates a cost effective pressure redistribution Group I support surface. Optimal overlay surface for the prevention and treatment of pressure ulcers. Convoluted high density polyurethane foam top layer. Bladders contain an aqueous gel composition that provides deep submersion. Base foundation is a high density high resilient foam construction which prevents "bottoming out". Cover is a soft nylon urethane coated vapor permeable water proof fabric. Top cover is non-shear, low-friction, and anti-microbial/bacterial. Gel maintains room temperature at all times.